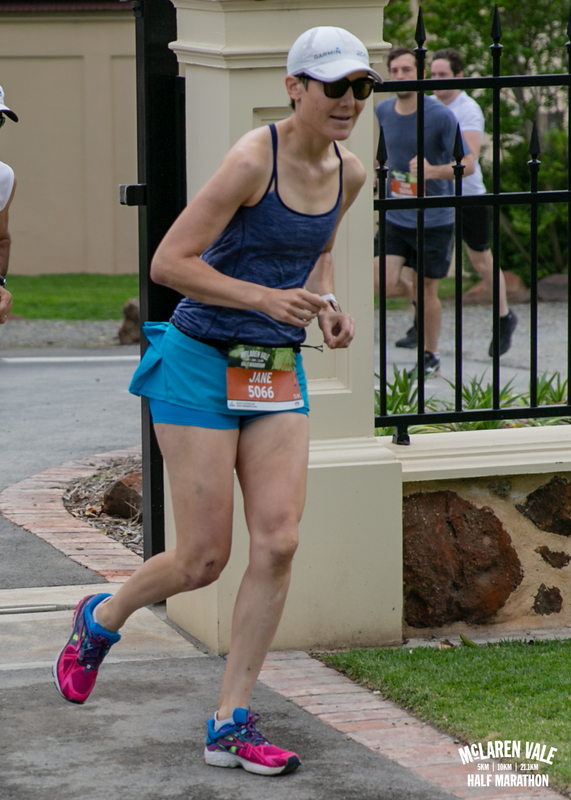 A few words about the McLaren Vale Half Marathon – preceded by a whole lot of words about the week leading up to it! Don’t EVER let anyone tell you a 5k run is easy! The timing of the events is tricky. 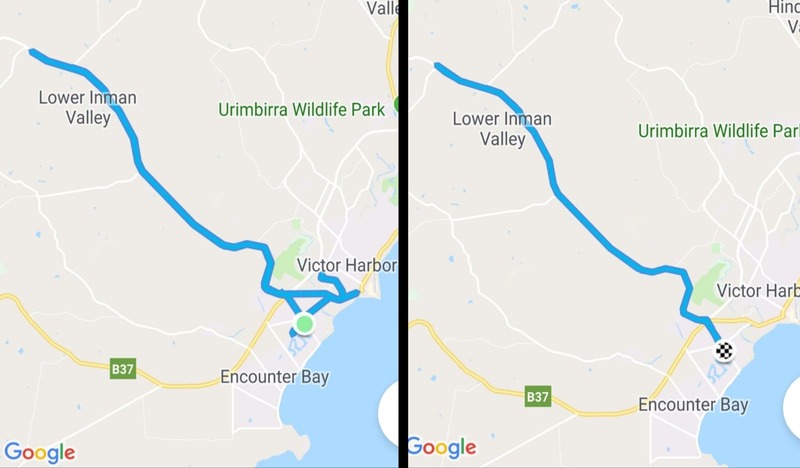 Trickiest is the one week gap between the Heysen 35k (which I also ran last year) and the half Murray Man triathlon (my first Murray Man event, and third official triathlon). Finding the time to train adequately for both of these, around full time work, has been a challenge to say the least! Common sense prevailed and I ended up doing my long run on Wednesday after work, taking advantage of the first week of Daylight Saving (giving me a good few days recovery) and managed to finish before it got dark! Not something I’d want to do all the time but it’s nice to know it’s an option! Trying to fit in cycling and swimming around the usual road and trail runs has been challenging, especially swimming which I don’t particularly enjoy. Following the black line for lap after monotonous lap can be mind-numbingly boring, although that has become somewhat more tolerable since I splashed out (pun intended) on a waterproof iPod shuffle! Still, I’ll take boring any day over the alternative which is swimming in West Lakes, known to be fairly heavily populated with jellyfish which can grow to the size of dinner plates (my friend Karen ‘lovingly’ refers to West Lakes as ‘booger soup’ which I think is a pretty accurate description!) – I will hardly put my head under water there, let alone open my eyes to see ‘what lies beneath’! 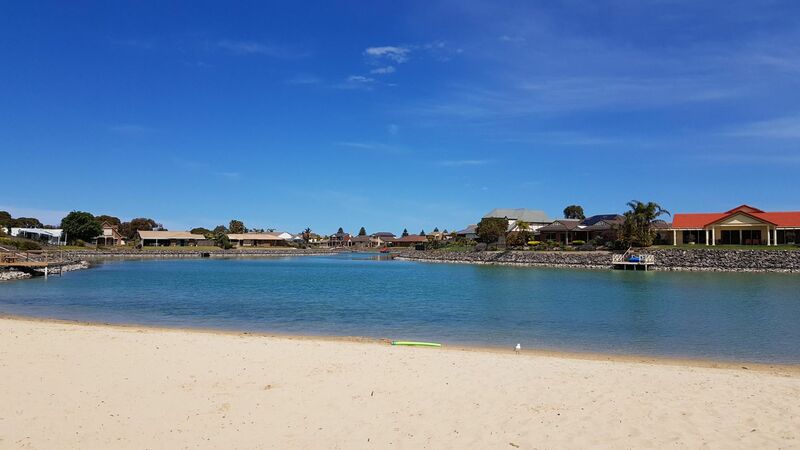 So when the opportunity arose to take a road trip down to Victor Harbor (the location of my last triathlon in March) and have a swim in the much more pleasant Encounter Lakes, I took it! This past week Shane had posted on Facebook that he was planning a full on triathlon training session on Saturday including a swim in the lake, a 2 hour bike ride and 1 hour run, and invited people to come join. Initially I had planned just to come for the swim – I wanted to get at least one open water swim in before Murray Man – but I had thrown the bike in the car too. I wasn’t sure quite how that would work and I thought I’d be way too slow on the bike, but it didn’t hurt to have the bike in the car just in case! I definitely wasn’t going to do the run. 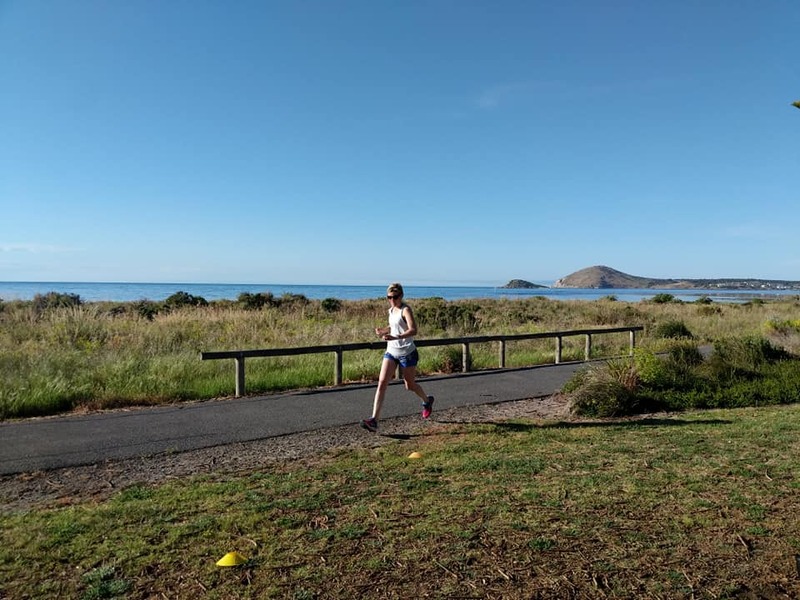 The plan was to do the Victor Harbor parkrun (because it would be rude not to!) then the swim, and MAYBE a little ride. Definitely not the run. I’d done plenty of running already for the week. Plus I was ‘racing’ the next day. A beautiful day for a parkrun! Completely oblivious to the toy snake that the RD had placed near the finish line – focused only on the finish flags! Anyway, I went a bit harder at parkrun than I ordinarily would the day before the race. Then I had a FABULOUS swim in the lake – I had my head underwater for most of it and eyes open too! The plan was to swim for 30 minutes and I was expecting to do about 1000m in that time (based on my only previous accurately measured 1000m open water swim) and actually according to my watch I did over 1300m – surprisingly faster than I swim in a pool! Must be a fast lake! SO much nicer than swimming with dinner plate-sized jellyfish! The bike ride did end up happening – it was meant to be on the Victor Harbor triathlon bike course, and started out that way, but I managed to get myself super lost right near the end and did a Tour of Victor before eventually finding my way back to the car, a little over 45km in just under 2 hours with some challenging hills (45km being the distance of the half Murray Man bike leg so that was a great confidence booster!) and it felt great – really getting a feel for the new bike setup and the seat having being raised approximately 7cm! Spot the difference – my ride on the left and the one I was SUPPOSED to be doing on the right! I decided still not to do the 1 hour run but ended up doing an ‘easy’ 3km run off the bike because it’s always good to practise that. And then of course smashed a Coke in record time and ate ALL OF THE FOOD! So now we move on to the McLaren Vale event on Sunday. Numbers were great, with almost 1300 entrants across the 3 distances including over 800 in the half marathon. Even the 5k, which usually has quite a small field, had 177 entrants and eventually 149 finishers! It goes to show that if you put on quality events, the people will come! The weather was also not terrible – it had rained a fair bit overnight and more rain had been forecast for Sunday but it looked like that would hold off until the afternoon. It was pretty warm too – even when I arrived at about 7:15am I hardly needed my hoodie! The only issue was possible strong wind – it was enough of a factor to stop the finish arch being put up for fear of it blowing away! I got to see the half marathon and 10k starts, as well as the half marathoners coming back through the finish area at about the 7km mark before heading back out again. 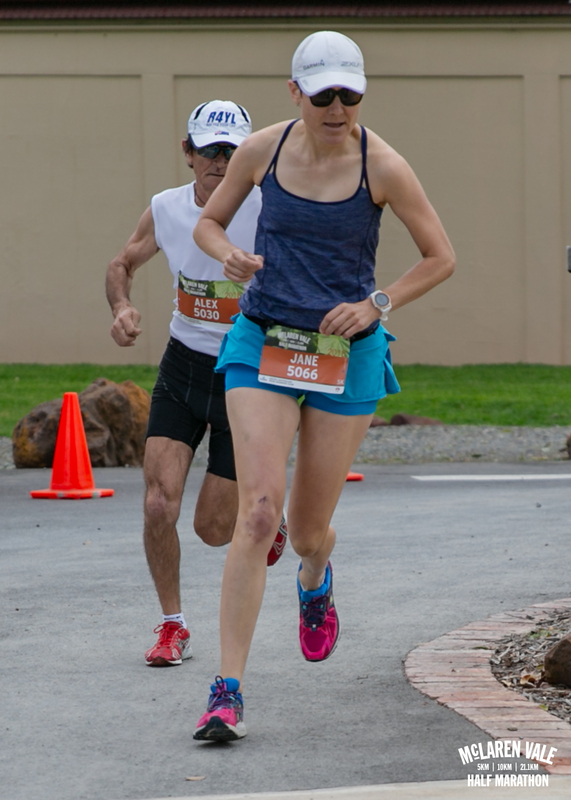 This is the point in the half where if you’re not having a particularly good run and are having any thoughts about pulling out, it is a bit too easy to pull out – after all, why run another 14km if you’re already at the finish line after 7? At the start of the 5k I was near the front. In the front line of runners there were 5 females and a couple of guys. Generally if you line up at the front you mean business, either that or you’re just way too ambitious! So I pretty much knew I was in 6th place, and it would be nice to be able to improve on that, but at least hopefully no-one would overtake me and I’d be able to hold on to 6th! This was the first SARRC event to introduce age group medals, similar to what they have in triathlon and duathlon events. 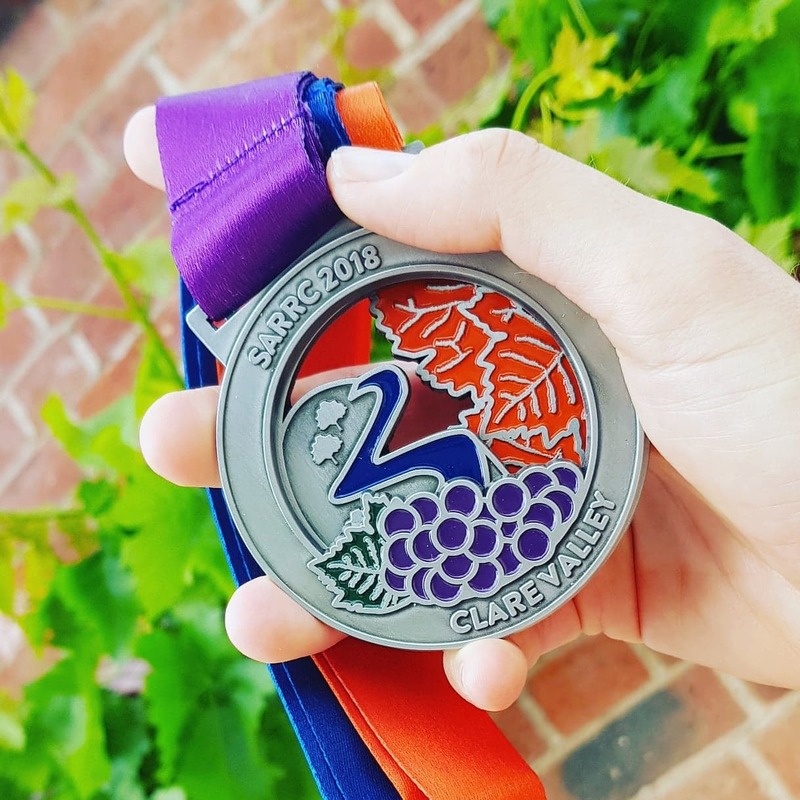 The 1st, 2nd and 3rd male and female in each 10 year age group in each of the 3 events would be awarded a special medal (along with the finisher medal everyone gets!) I thought it was a great initiative – it gives those of us who aren’t likely to win overall trophies, a chance of winning something! I didn’t know the 5 girls ahead of me but hopefully they weren’t all in my age group and I might be a chance! 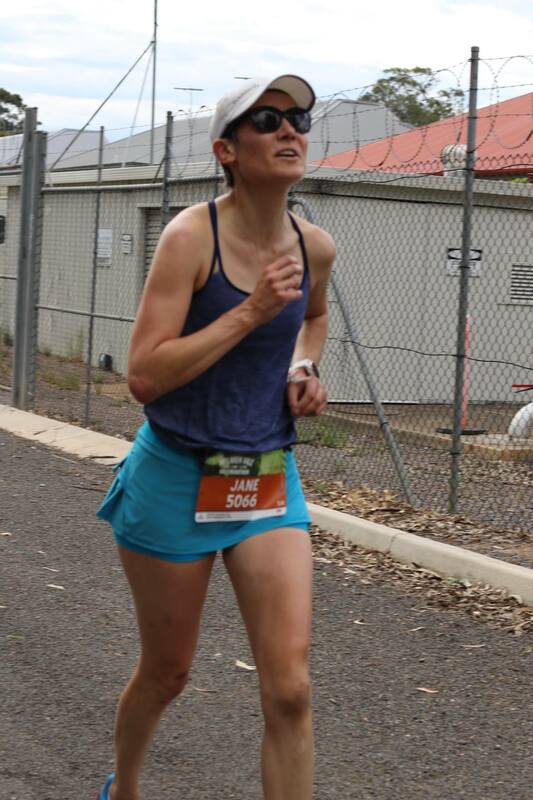 At the start I very nearly tripped over a kid in an Adelaide Harriers singlet who started just behind me but then passed me straight away but after managing to avoid falling before the start line, I got into a bit of a rhythm and tried to keep the lead pack within reach. There was an uphill bit pretty early on but then it seemed reasonably flat. There was a 42m elevation gain overall in the 5km which is something but not huge. 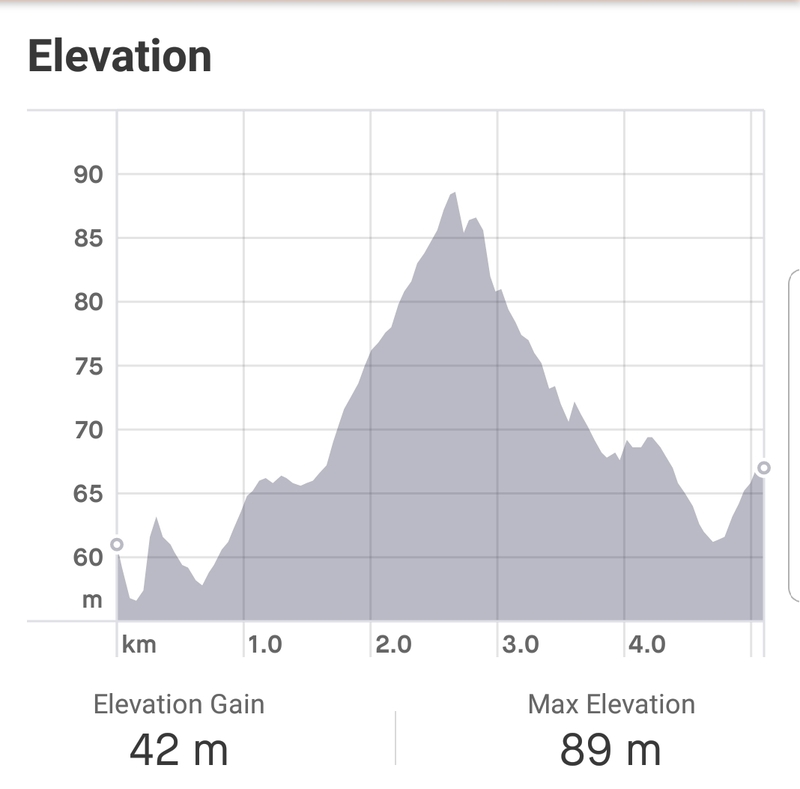 The elevation map on Strava makes it look like a mountain! It felt like a mountain at times but this profile is a bit misleading! Trying to keep up with the fast runners was a mistake, I definitely went out too fast in the first kilometre (4:20) and then paid for it in the next two (4:51 and 4:53) and never really managed to get back to the pace I should be able to run. I’d call it a rookie mistake but after 6 years I probably can’t use that excuse anymore! It was warmish but the sun really didn’t come out for real until after we’d finished, and the wind wasn’t really a factor. So the conditions were probably as good as could be expected. We encountered some of the half marathoners – it hadn’t occurred to me that we shared the same course, and realised that running with my head down was probably not the best option! I managed to keep the 5th female runner in sight thanks to her bright pinky purple SARRC top, and I don’t think she really got away from me but I never seemed to be able to make up any ground either! Towards the end I saw Gary with his trusty camera, he managed to catch a few action shots and also got a bit of language from me – apologies to the man with the kid in the pram who also got to hear the fruity language! Who knew 5k could elicit such a reaction from a normally mild mannered person? Guess what I’m saying here? 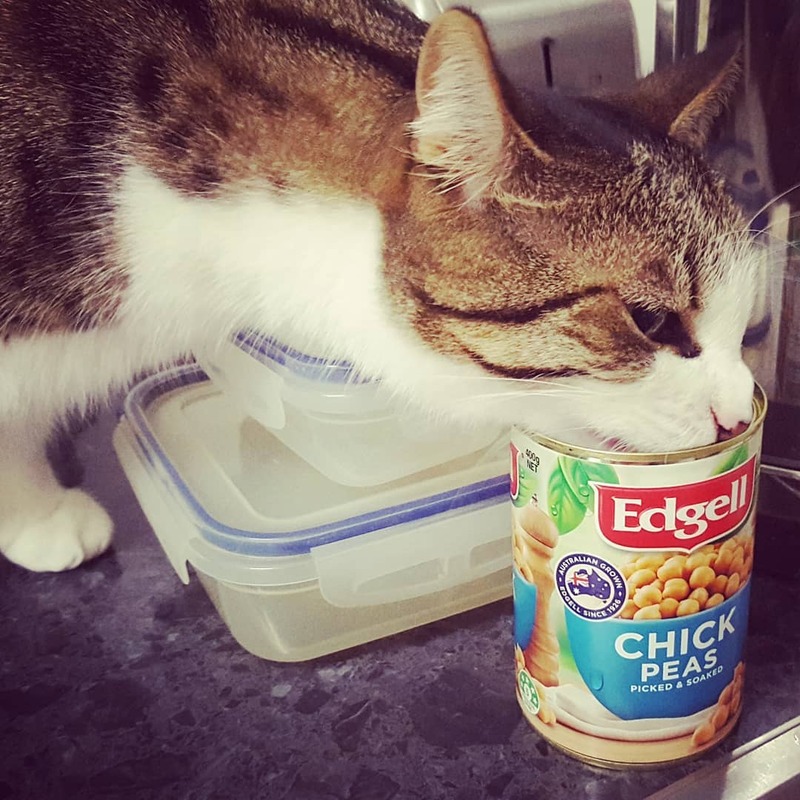 Thanks to Gary for the pic! I managed to hold on to 6th place, and finished in an official time of 23:49 (50 seconds slower than the previous day’s parkrun!) – seriously that was hard work! Clare at the front in purple, Greenbelt in the blue, and finally McLaren Vale in the orangey brown. The kids fun run, a relatively new addition to the programme but now a firm fixture at SARRC events, was a bit of fun too – Race Director Ben asked me to be a marshal – luckily it was a pretty easy gig because as I am known for being a bit ‘directionally challenged’, I’m probably the last person you’d want to rely on to ‘tell people where to go’! Pointing is actually pretty hard work – I noticed a bit of muscle soreness in my right shoulder but I’m assuming that was from the swimming and probably not from what had to have been only about 6 minutes of pointing! 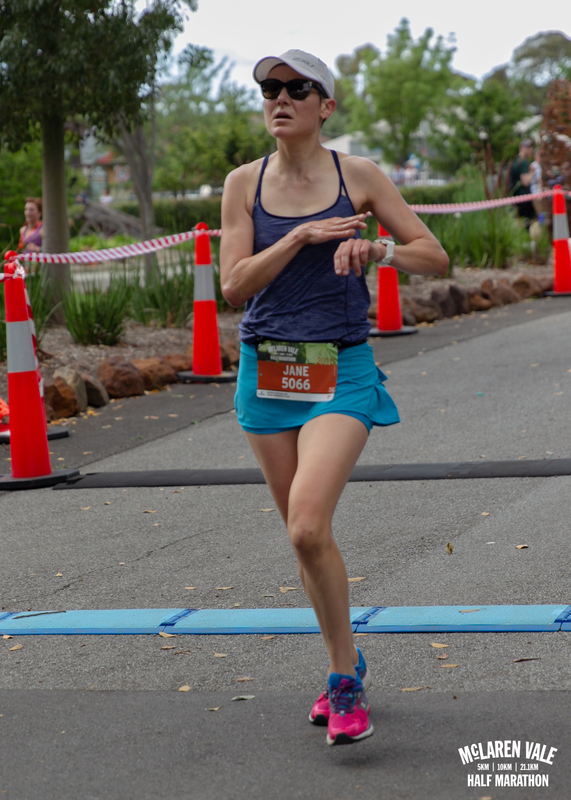 I hadn’t looked at the official results but was still hopefully I might sneak in for an age group placing – in the end I was second in my age group behind Leonie who I’d kept in sight for the whole 5k but hadn’t quite managed to catch – there was only 15 seconds between us too! Still – bonus bling is always nice! 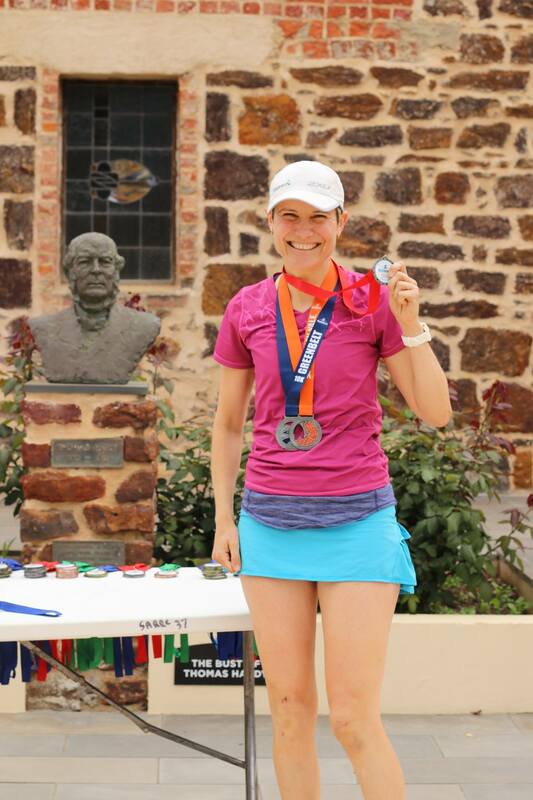 With my second place age group medal along with my collection of 3 Triple Crown medals – thanks to Gary for the pic! Congratulations to all the runners especially the majority of the half marathoners who had to deal with the warm conditions later in the morning! Also as always a huge thanks to the volunteers – extra special thanks to Voula who was supposed to be running but gave up her run at the last minute to give out medals at the finish line, and her husband John who had the unenviable and I can imagine difficult task of being the sweeper for the half marathon – on a bike! I would DEFINITELY have fallen off! Last but not least well done to the event team Ben, Sheena and Malcolm for putting on another great SARRC event!